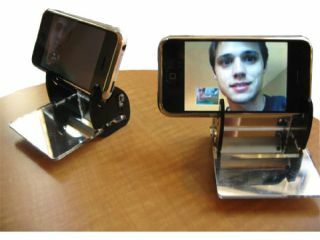 A new application called iVideoCamera, which turns your iPhone 2G and 3G into a video recorder, has been approved by Apple. The only iPhone model capable of shooting video is the 3GS, which does so at a pretty impressive VGA resolution (640 x 480) at 30 frames per second, but the new app brings similar functionality to the older models. Well, we say similar, but in truth it's very much the poorer option, as it only allows video capture at three frames per second at 160 x 213 resolution, which would look bad even on a mobile with a teeny screen. While it is essentially an application that lets you take pictures in rapid succession, it at least lets you upload the 'footage' to YouTube and Facebook, with Twitter coming soon, according to The Apple Blog. And the frame rate and resolution are also set to be upgraded in the near future, which sets an interesting precedent. While jailbroken iPhones have apparently been able to shoot video on older devices, this is the first time Apple has let it through legitimately. This means that it's quite likely that more (and higher quality) video recording applications will follow - which makes it all the more confusing why Apple has waited this long to do so. Either way - it probably means the fourth iPhone will have some MEGA video record mode, or it won't - you might be able to tell we're never sure when it comes to iPhone rumours.